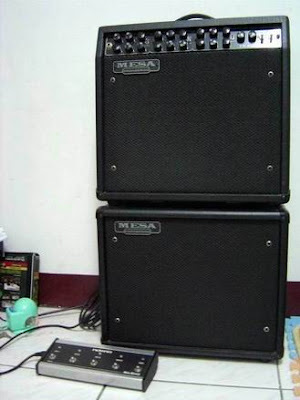 Back to year 2003, Mesa/Boogie Single Rectifier Solo-50 (Series II) was my first Mesa/Boogie amp head. p/s: There're NO "Raw" mode and bias switch (select 6L6/EL34) on Series I.
between "either diode or tube rectifier" on Single Recto, but you can do that on Dual/Triple Rectifier. It has typical Recto sound. even using an attenuator ... because people always say you have to play LOUD with Recto. then this amp probably isn't for you. Why don't you buy an amp with built-in graphic EQ instead ? After tried Dual/Triple Rectifier, Roadster and Roadking, I finally realized that maybe I'm not Recto man. They're slight different in tone and features, but they're still Recto. 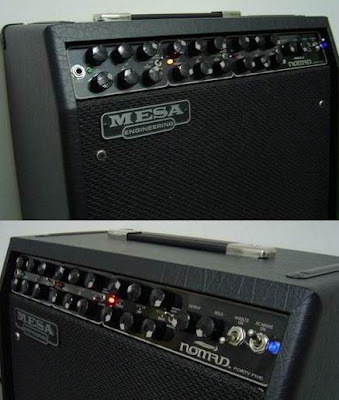 Whenever people talking about Mesa Boogie, you almost immediately think about Rectifier. To me, Mark-series is the only great series made by Mesa/Boogie. They have fast picking response, super tight, not compressed and over-saturated like Recto at all. Never touch a Recto since that, until I tried "Rectifier Reborn" in Bentley Music during year 2010. Rectifier "Reborn" sounds much tighter but still too buzzy, and Stiletto Deuce/Trident are even worse. I still feel proud to be a Mark V owner. Mark V is the best Mesa/Boogie amp to me. Mesa/Boogie NOMAD 45 was my another Mesa/Boogie amp that I owned back to several years ago. Typical Mesa/Boogie gain tone, silky and liquid sutain. Clean tone is very "Fenderish". Unfortunately, the gain isn't enought for me as a heavy metal head. Only NOMAD 100 features 5-Band Graphic EQ. The spring reverb on each channels are really weak even with max on, same as the Ch.2 of my Mark V.
I hope they can improve the reverb circuit design, please ???!!! Combo always sounds too "boxy", I added on another Mesa/Boogie 1x12" extension cabinet. 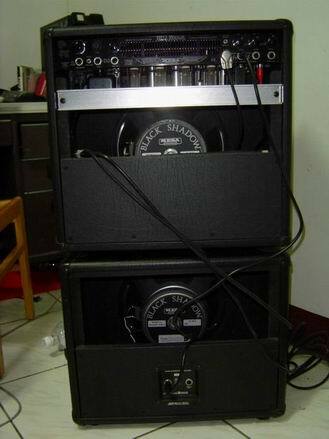 Both have Mesa/Celestion C90 Black Shadow speaker.